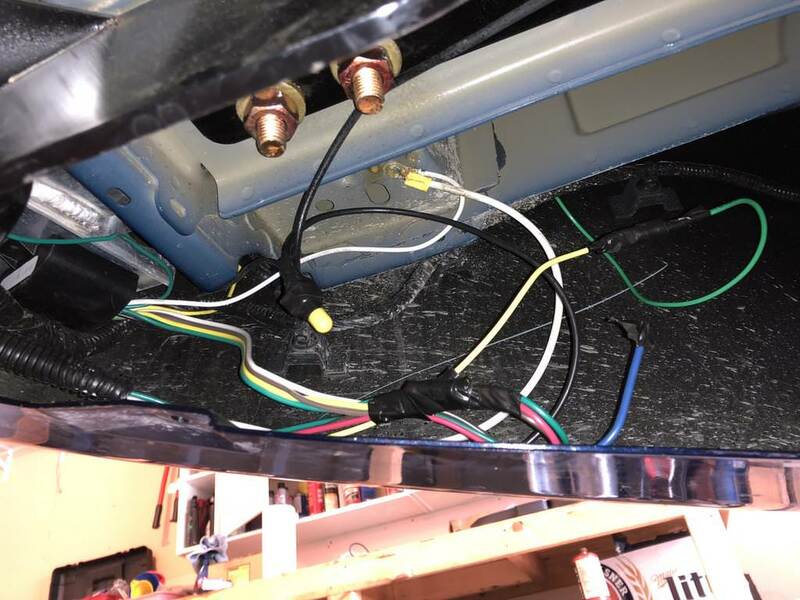 Today I installed trailer wiring on my van, and it was a little different than usual because I needed power for the reverse light circuit at the plug. My boat trailer has hydraulic surge brakes, which makes it virtually impossible to back up without power to that pin. It took a good bit of digging through the shop manual to find the best place to tap the reverse light circuit, so I figured I'd post this for anyone else with similar needs. For the 7-pin plug, I chose this Pollak kit from Amazon. Pollak is the OEM supplier for Ford, GM, Chrysler, and virtually every other vehicle I've seen that offers a factory plug. This is better quality stuff than the 4-to-7-pin adapters from Curt, Tekonsha, etc., and I highly recommend it. 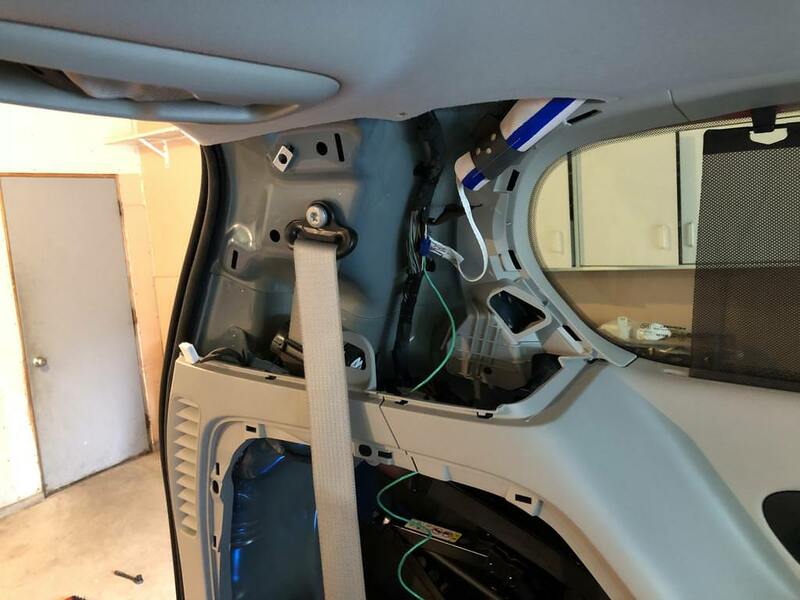 The design of the Pacifica made this the most challenging install I've done, and I wouldn't have wanted to do this without a fish tape. You have to pull the tail lights and fish the connectors up between the bumper cover and the guts beneath, which was more than a little challenging. Running the wire to the battery was relatively easy because of all the underbody shields you can string it under. 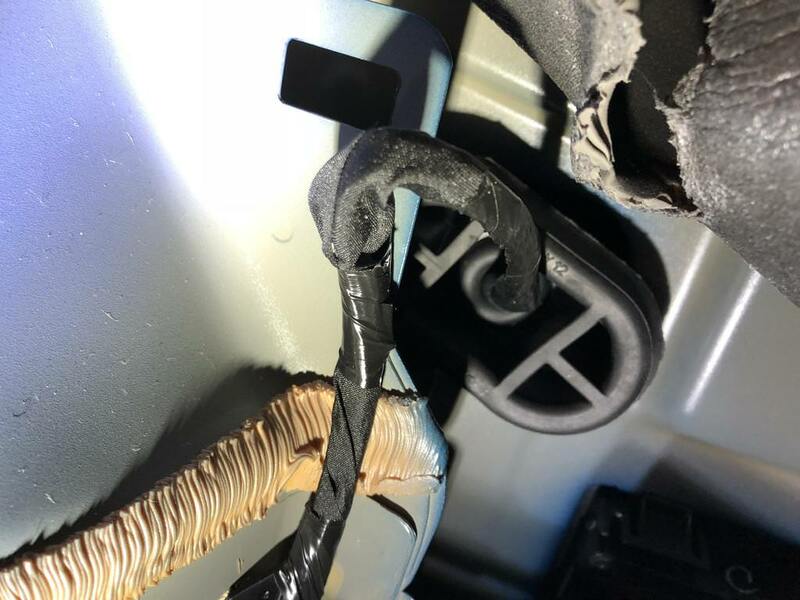 As we all know, the reverse lights are in the tailgate, so I had to locate the wire in the left-side harness at a convenient location. Behind the driver's side D-pillar trim was the easiest. 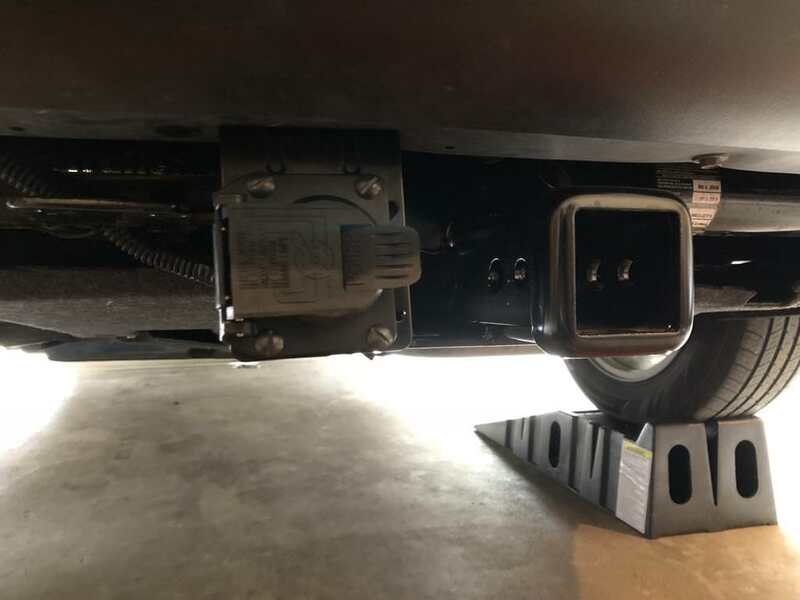 The panel snaps off, but you have to be careful with the power tailgate switch(if equipped) and a very interesting fastener directly above it. It snaps off, but there's a retaining strap for some reason that unclips once the panel is loose. Using a knife I cut away the cord wrapping for about four inches to expose the wires. 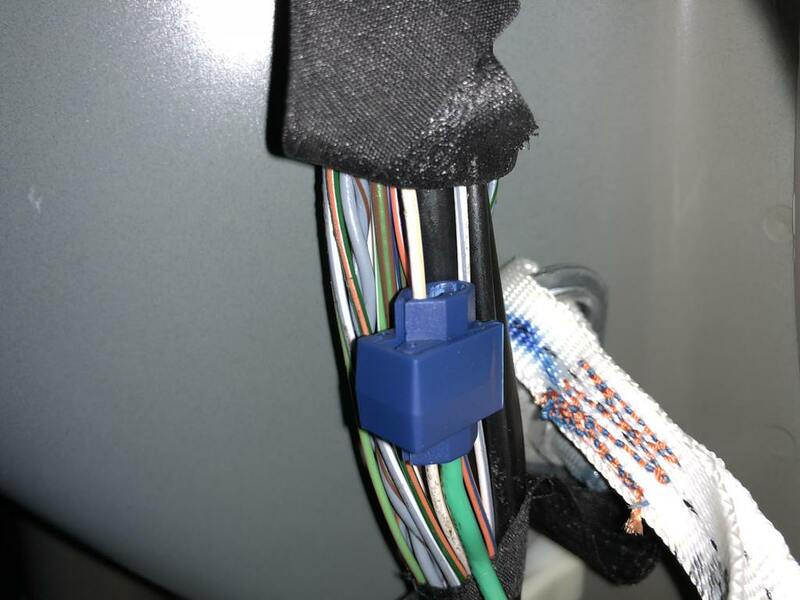 The left-side reverse light is powered by the beige and white wire in this bundle, and I tapped it with a suitcase connector. Getting the wire to the exterior was relatively simple when I located this rubber grommet. It's behind the spare tire, you just have to pull back the sound insulation. I had to pop out the adjacent vent and use a fish wire to get the wire below the bumper. Hooked it all up and went for a test run with the trailer. 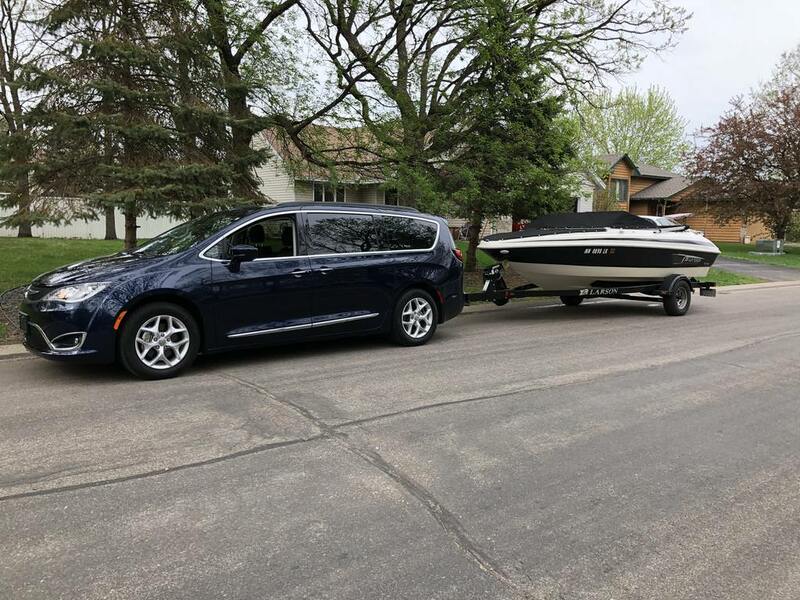 The Pacifica handles my 3,500-lb boat really well, I'm quite impressed. Nice job. Thanks for sharing the photos. I don't have a need to do this but it is nice to see what lurks behind panels. Enjoy the boat! I must be technically inept but I do not see photos. Am I missing something? I don't get it. After asking the question, they appeared. Ask and you will receive, I guess. Wish I saw this a week ago, I could not figure out how to install this as well and I am scheduled to have it done at the shop this weekend. 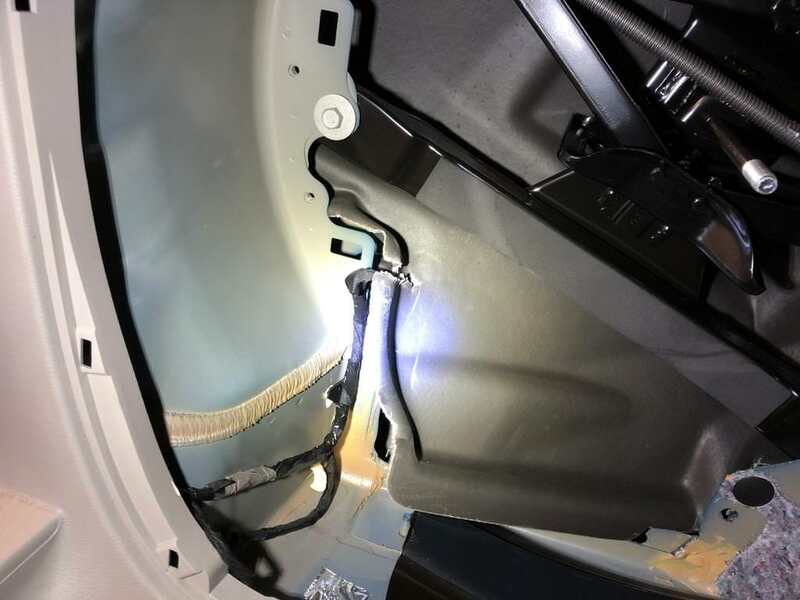 However, its an RV dealer so there is a possibility they will not wire the reverse light, if that is the case this post will be a life saver. I had planed to somehow fish the wire into the tailgate because I did not know how else to find the reverse light. How were you able to determine what wire was reverse? Just an FYI that light kit in the first link only has 12 gauge wire and a small 15 Amp fuse. The kit I was looking at used 10 gauge wire and a 30 amp fuse for the power to the 7 pin adapter. Last edited by mattlreese; 05-16-2018 at 09:04 AM. Hahaha...your asking was the whole reason I took all the photos and posted. I suppose it'll be useful to someone down the line if you don't end up using it. I used the factory wiring diagrams from the service manual, as well as the wiring locator maps to find the harness. I didn't want to just start ripping interior panels off looking for it. I keep a subscription to www.alldatadiy.com, which I believe is the cheapest way to get factory service manuals. Yeah, it's only designed to power the lighting circuits. The only trailer that's going to use the +12v for power is my single-axle open trailer with the Prodigy RF controller, and that's only 5-6A. A double- or triple-axle trailer may be a problem, but my van will never be hooked to one. Hello. Thank you, I am looking for the brake wire under the steering column to connect the brake controller. Do you know what wire to tap into?